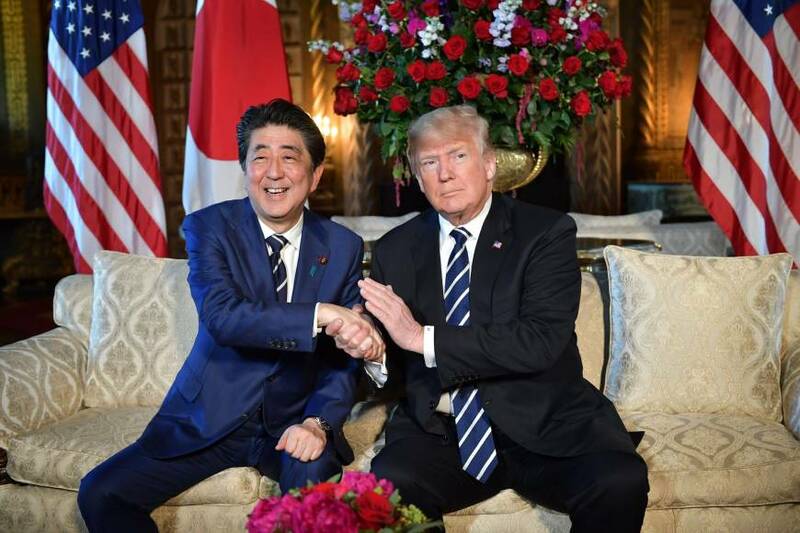 WASHINGTON - U.S. President Donald Trump and Prime Minister Shinzo Abe agreed Monday that it is “imperative” to completely dismantle North Korea’s nuclear weapons and ballistic missile program, the White House said. The leaders agreed that they will meet ahead of a much anticipated summit with North Korea’s Kim Jong Un, back on schedule for June 12 in Singapore just days after Trump announced he was canceling it. Trump said the summit could go ahead as planned following a more appeasing statement from Pyongyang and productive talks with North Korean officials. Japan, which has held the hardest line against North Korea compared to neighbors China and South Korea, has been left uneasy by the pace of events, and by what it sees as an unwarranted softening toward an untrustworthy Pyongyang. The pair “discussed recent developments in North Korea and confirmed they would meet again to continue close coordination in advance of the expected meeting between the United States and North Korea,” a White House statement read. Following Trump’s recent back and forth on the holding of what would be a historic summit, the Japanese government has been seeking information to understand what the president’s intentions are. In Tokyo, Abe told reporters he was briefed by Trump about recent developments regarding the summit, but did not elaborate. 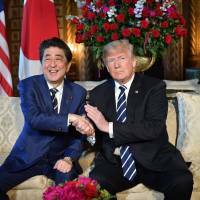 Government sources have said Abe may visit the United States before a summit of leaders from the Group of Seven industrialized nations in Canada on June 8 and 9. In a related move, government sources also said Foreign Minister Taro Kono is considering visiting Singapore in early June before the anticipated U.S.-North Korea summit. Preparations are being made for Kono to meet Singaporean Foreign Minister Vivian Balakrishnan to seek cooperation in sharing information about the summit between Trump and Kim, the sources said, adding that the likely date for Kono’s visit would be June 9, a day after visiting Malaysia. Kono will also likely ask for support in resolving the issue of Japanese nationals abducted by North Korea decades ago, the government sources said. Together with the United States, Tokyo has stressed the need for North Korea to dismantle all weapons of mass destruction and missiles in a complete, verifiable and irreversible way. Since taking office, Abe has been seeking to resolve the issue of Japanese nationals abducted by North Korea decades ago, making it his administration’s priority. Hours after meeting with relatives of the abductees on Monday, Abe said he “conveyed their feelings” to Trump over the phone. “I told him that it’s absolutely necessary to resolve the issue,” the prime minister said.